The company is extending its lineup to include a compact, 1.0 yd3 capacity wheel loader that will be price competitive with large skid steer loaders. SDLG will debut a new compact wheel loader – the SDLG L918F – at CONEXPO 2017 in Las Vegas, Nevada. The company will occupy Gold Lot Booth G3890, an outdoor booth at the show, which runs from March 7-11. Several experts will be on hand to discuss the new machine and how it fits into the brand’s overall North American strategy. The move to expand the company’s product range comes on the heels of its successful launch into North America. 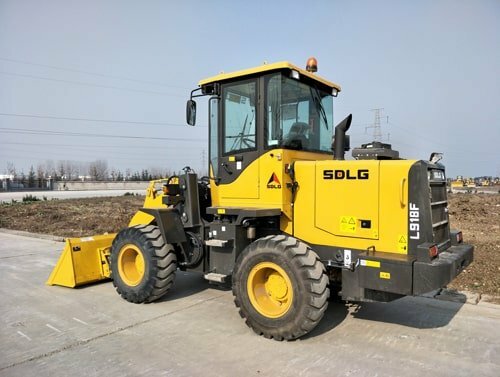 SDLG has seen significant growth in terms of its dealer network and customer base over the past few years, as well as the introduction of its Tier 4 Final machines in 2016. The L918F will be SDLG’s fifth wheel loader offering in North America and it will feature a 1.0 yd3 bucket capacity mounted to a skid steer style coupler, placing it in the compact loader category but with the versatility of skid steer style attachments. In addition, the unit will have an optional 1.3 yd3 bucket with wheel loader ISO coupler. The machine will compete with large skid steer loaders, providing the same bucket capacity but with increased maneuverability and operator comfort. Additionally, the compact loader’s steering mechanism will cause less damage to job site grounds when compared with a skid steer loader. Al Quinn, director of SDLG North America, said customer demand is the driving force behind introducing the new machine, with several companies asking SDLG dealers for a compact, value loader alternative for many current skid steer loader applications. He explained that the new model was part of the brand’s long-term strategy. The L918F excels in a variety of applications, including landscaping, work in stone and mulch yards, snow removal, and waste and recycling. Like other SDLG loaders, it’s ideal for applications that are seasonal or don’t require lots of operating hours. The machine is also perfect for owners that can find value in a reliable, low-cost loader backed by a 12-month, 2,000-hour warranty, with extended warranties available. SDLG loaders serve as a viable alternative to used, premium machines, and can often provide a lower total cost of ownership. Also at SDLG’s booth for CONEXPO 2017 will be the L948F, a 3.0 yd3 capacity Tier 4 Final wheel loader that was introduced in June 2016. Along with a more environmentally sensitive engine, SDLG’s Tier 4 Final machines offer several other improvements that include passive regeneration, cab enhancements, improved serviceability, improved operator controls, and improved heating and air conditioning for operator comfort. 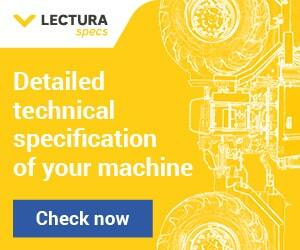 SDLG is one of the world’s top sellers of wheel loaders. The brand was introduced to North America in 2013, having proven itself in many other regions. The goal was to test the viability of a value brand option in the market, offering machines with simple but proven, reliable technology at an affordable cost. A seasoned dealer network and solid warranty further bolstered the company’s value proposition. Since 2013, the brand has seen significant growth, as its North American dealer network has grown to 30 dealers in 54 locations. In 2016 the company added a second distribution center for the West Coast in Seattle, Washington, to extend the capabilities offered by its distribution and parts center near Atlanta, Georgia. Several municipalities in Canada and the U.S., including the New Jersey Department of Transportation, are using SDLG wheel loaders for roadwork and snow removal, among other applications. In the future, SDLG intends to offer additional types of equipment in North America, including a backhoe and a motor grader.